Blogging is one of the best things you can do as a therapist to market your private practice. But if you're going to the trouble of writing a blog you'll want as many people to read it as possible. So here's a comprehensive guide for therapists on what to do before and after publishing your blog post for maximum exposure - and a FREE checklist! Blogging ticks so many boxes - increases the know like trust factor, shows you as the expert and helps people by sharing useful information and lots more! (Here are 10 reasons your counselling website needs a blog). So take these steps and make sure your blog post gets seen. Okay, at first glance it may seem like there are a squillion things to do, but please don't be put off, it really is worth it, and before you know it, you'll be doing it without a second thought. Have a clear reason for the blog - what is the key takeaway for your readers? Create an interesting headline. If you don't have an interesting headline to compel the reader to click through, it simply won't get read, and if you're going to go to the effort of writing a blog, you want as many people to see it as possible. 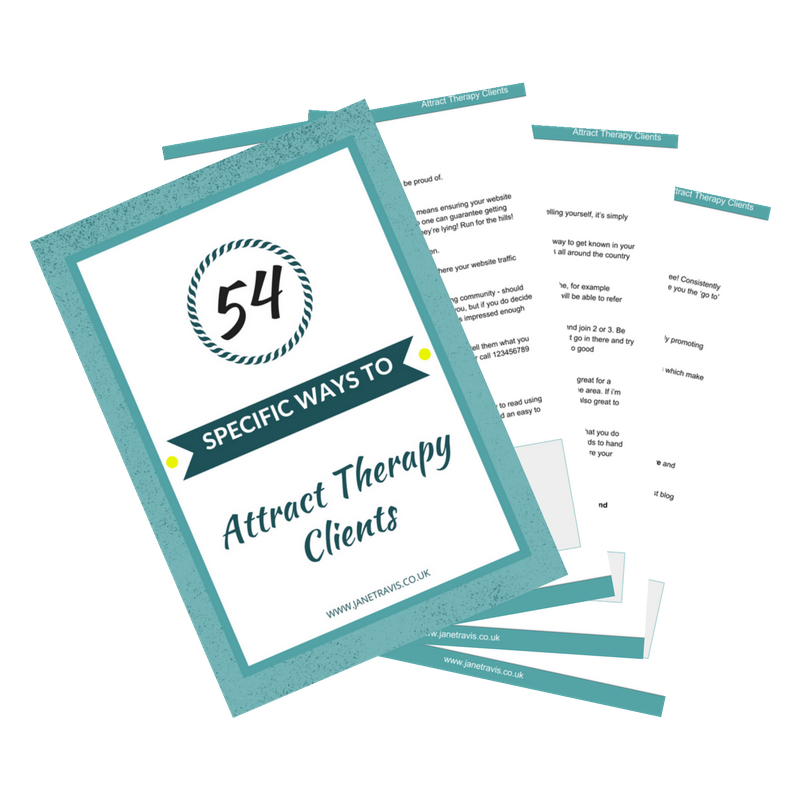 (Take a look at my FREE guide '101 Headlines For Your Therapy Blog). Have a conclusion to sum up the main points. Post to all your social media accounts. Take a look at Social Media Examiners 'How to use Facebook to drive more traffic to your blog posts'. Do a Facebook live to introduce the blog: write 2 or 3 bullet points to jog your memory on what you want to say remembering the call to action 'click the link in the comments below to read', do a 2 minute video, put the link to the post in the comments, add some captions (click on the 3 little dots in the top right corner of the video post, click edit and add captions - check through for spelling and make sure the words have been picked up correctly). CLICK HERE to download the free blog post before and after checklist. I bet you're a busy person, so be sure to extract all the marketing juice you can from each blog you write! If you're a therapist in private practice and you want to unleash the power of blogging, take a look at the 'Blogging With Confidence' course, available now. Previous Post Do You Have The Know, Like and Trust Factor? Next Post Are You Making It Hard For Clients To Choose You? Where would you like me to send your free BEFORE AND AFTER BLOG POST CHECKLIST?